The Brothers McCoy have added another honor to their resumes. 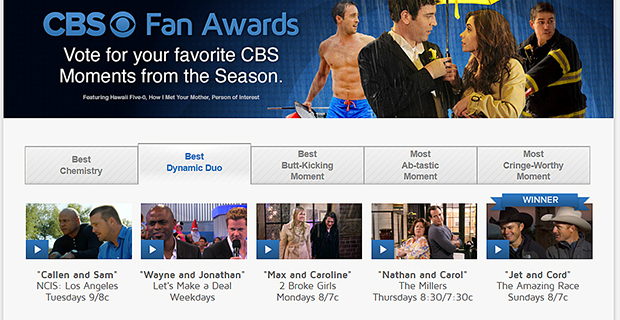 Jet and Cord McCoy won the voting for Best Dynamic Duo for the CBS Fan Awards from their appearance on Season 24 of “The Amazing Race,” which aired this spring on CBS-TV. It was the third time on the reality-TV series for the McCoys, cowboys who were raised on the family’s ranch near Tupelo, Okla. They were eliminated from the All-Star Edition during the 10th of 12 legs of the race around the world for $1 million.